Mountain | XYNYTH Manufacturing Corp.
Our Head Office will be closed on Friday, July 1st for Canada Day, the anniversary of Canada’s Confederation. Formerly known as “Dominion Day”, this day marks the anniversary of the Constitution Act of 1867, joining Nova Scotia, New Brunswick, and the Canada province (now Ontario and Quebec) into a single country. It may be 2016, but there’s still companies out there trying to market their calcium chloride icemelters as eco and pet friendly. Not only is this disingenuous to the consumer, it could put pets at risk. Calcium chloride is caustic which means it will burn skin on contact, making it unsafe to use around animals. Not to mention all the damage it will cause to the surrounding vegetation. WIN A FREE APPLE WATCH!! XYNYTH always welcomes customer feedback. We appreciate when our customer’s let us know how we can improve their experience with XYNYTH, and how we can better our service for them. Our customer’s opinion is always valuable to us. To encourage customer feedback we are giving away a free Apple Watch. Anyone can enter this contest. To enter simply go to our website www.XYNYTH.com and enter some feedback to win. Anyone can double their chances to win by “liking” our Facebook page as well. Winner of the Tablet Contest! Thank you to everyone who participated in the Android Tablet draw. 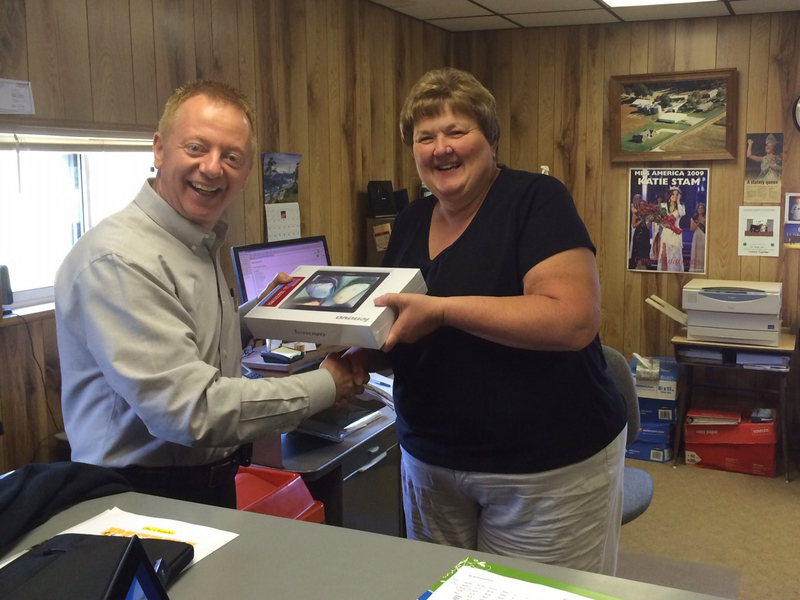 On behalf of XYNYTH, we would like to congratulate Linda Eggersman (Hy-Grade Inc) for winning the draw of our contest. Word has started to hit the street that Calcium Chloride will be in short supply this coming season. Major manufacturers like Dow and Occidental have already informed their customers that Calcium Chloride will be on allocation. This means that not all orders will be fulfilled. Finding an affordable supply of Calcium Chloride will be a challenge this fall and winter. 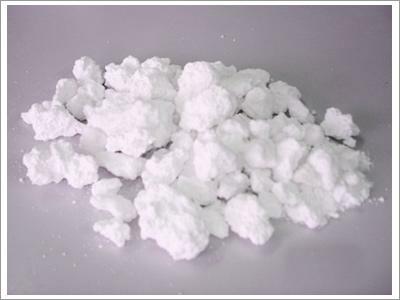 Calcium Chloride (CaCl) is a very common ice melter product that is known for its fast melting power down to very low temperatures. It is also will known for having some major drawbacks including a short shelf life, requiring more applications than other ice melters, leaving an oily residue behind and being dangerous to people, pets, & the environment. Many customers will be looking for quality alternatives that effectively melt ice that are not sodium based. XYNYTH Manufacturing has two solutions for customers who find themselves in this conundrum. Mountain Organic Natural™ Icemelter and GroundWorks Natural™ Icemelter are perfect alternatives to Calcium Chloride. Not only are they much safer and cleaner, the required usage is only half that of Calcium for the same results. The restrictions on supply will drive up the price causing many to look at cheaper options of Calcium. For those that are more focused on the lower melting temperature and fast action of Calcium over the environmental concerns. This is perfect timing to try our new Arctic Orange™ Icemelter product. The new formulation is designed to work fast and hot like Calcium but will last long longer then pure Calcium Chloride. While Road salt is said to be essential to keep our roads safe for traveling during our winter season, their extensive use can become very harmful to trees and plants. Environment Canada completed a five year study of the effects of road salt on the environment. One of the cheapest and most commonly used for de-icing roads and pavements is Rock salt, consisting of 98.5% of sodium chloride (NaCl). The study concluded that rock salt is toxic to the environment, particularly in large concentrations. Studies show that an average of 1.86 trees per km of highway in Canada are affected by the toxic chemicals contained in Rock Salt and need to be replaced each year. The effects of the toxic chemicals can easily be seen on plants and trees exposed to rock salt mists from or near the busy roads or highways (also known as salt spray). Salt spray can also happen when snow is plowed off of streets and sidewalks and onto trees and shrubs. On Evergreen trees, the needles show ‘tip-burn’, as the needles turn yellow, then bronze and subsequently become brown and begin to drop prematurely. As the needles die, the photosynthetic capacity of the tree is curtailed. Over the years the amount of new growth is reduced, causing the tree to weaken, dieback and perhaps die. On deciduous trees the salt spray affects the opening of buds and twigs. When Rock Salt in the soil dissolves, it separates in to Sodium and Chloride Ions. Chloride Ions are absorbed by the roots and later can be transported to actively growing leafs causing the leaf to scorch, curl and even die. Sodium Ions are taken through the same chemical route as the necessary tree nutrients, later restricting the uptake of magnesium and potassium, the two essential chemicals for trees and plants. The roots there for can’t take in water through osmosis and begin to die of thirst. With growing awareness on environmental concerns, XYNYTH Manufacturing Corp. continues to strive in providing customers with products that are environmentally friendly. Having two preferred environmentally friendly products, with potassium being their major component, Mountain Organic Natural™ Icemelter & GroundWorks Natural™ Icemelter benefit the trees and plants as potassium is a major nutrient for them. While these products are very powerful and effective they are also safe around vegetation, children and pets. One way to minimize salt injury to our trees and plants is to start thinking green and making better healthier choices with the type of de-icing products we use.